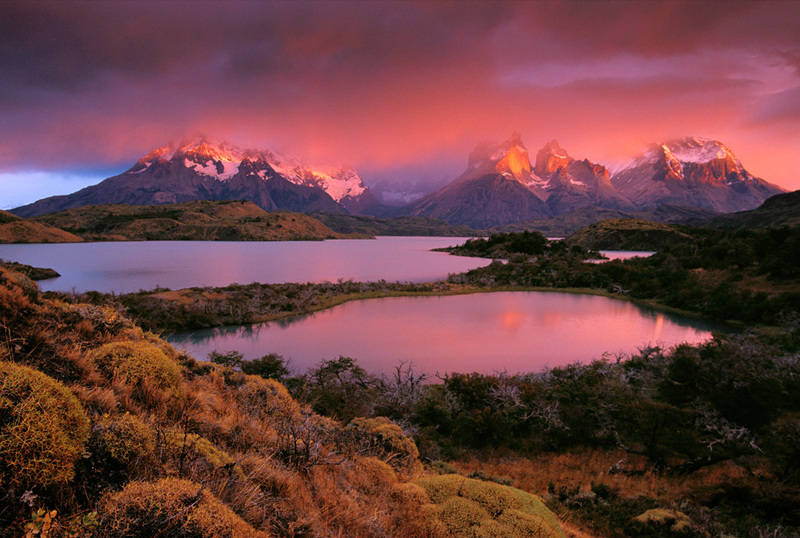 Torres del Paine is a national park located in south Patagonia, Chile. The park is known for its immense rock towers and peaks, part of the Andes mountain range. The name Torres del Paine means Towers of Blue (Paine is an indigenous name for the color blue). 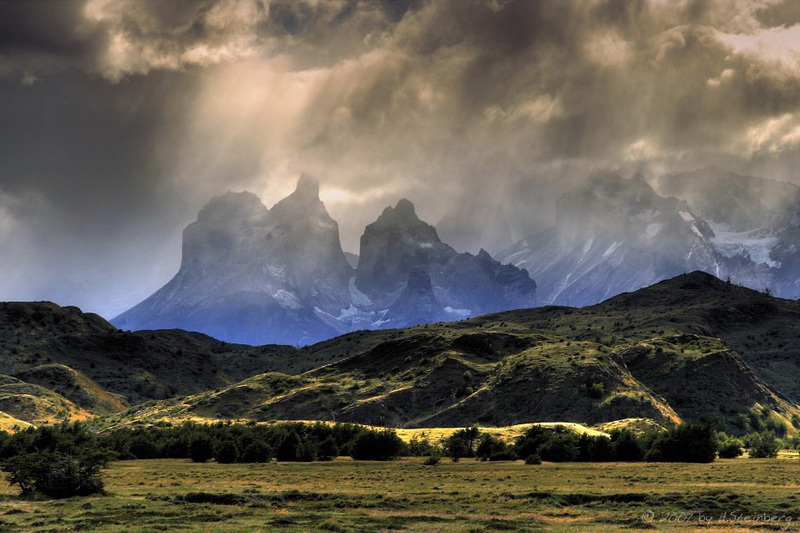 The most famous peaks in the park are Cordillera del Paine, a set of stark peaks, and the Cuernos del Paine (Horns of Blue), a set of jagged, horn-like mountain tops. Also in the park are a glacier, a lake, and rivers. The most popular activity in the park are the multi day hikes, especially the Base Of Las Torres trek. Tourists can reach the national park via daily bus service from the city of Puerto Natales. Accommodations in the park consist of basic lodgings called “Refugios” and camping.